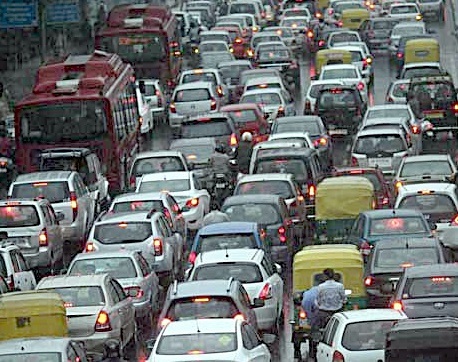 International Road Federation (IRF), a Geneva based global body working for better and safer roads worldwide has expressed concern at growing frequent traffic gridlock in the National Capital Delhi in the recent days ,which has made daily commuting longer and more gruelling for people living in NCR. “Due to traffic congestion, Delhi residents are spending more work hours on roads, this is resulting into a non-productive activity for most people as when they get stuck in traffic jams, they reach their workplace late or reach back home late. This is also making travelling increasing costly and frustrating resulting in more road rage and accidents “said Mr K .K Kapila, Chairman, International Road Federation (IRF). “The reasons for the increase in driving are varied and complex, they include, among others, growth in the size of the population and workforce, growth in motor vehicle ownership and affordability of use, growth in commuting to work alone, lack of transit availability because of urban sprawl, and changing patterns of land use, ongoing haphazard metro rail construction work in entire National Capital Region (NCR), indiscriminate frequent digging by various civic agencies, poor drainage system on roads as well as overground metro rail ”said Mr Kapila. “To check increasing traffic jams both short term and long term policies are needed in Delhi Some of these include having good public transport system, proper maintenance of current roads and fly overs with proper road laying basics for keeping roads free of potholes, cave-ins and improving safety. We need to plan better by building utility channels on both sides of the road for water pipelines, telecom cables, water supply pipelines, power cables and sewer connections. This will help in avoiding Frequent digging as concrete roads are not meant for relaying in bits and pieces” said Mr K.K.Kapila. “Major cause for frequent cave-ins on almost all stretches of roads in the capital is repeated digging carried out for laying underground utility pipes and cables by various agencies including DJB, telecom companies, MCD and PWD. In this case, cavities remain open in the earth. With water seeping in, the road gets weak and eventually gives way,’’ said Mr Kapila. “The other major reason for cave-in is the rotting drainage and sewer system, which dates back to the British times. the sewer barrels in most parts of capital including NDMC area needs to be restored immediately to avert a bigger disaster in the future. The drainage system is equally old. Poor maintenance of underground master drains, sewer and water pipelines cause more damage. ‘‘Maintenance of all such pipelines is vital. 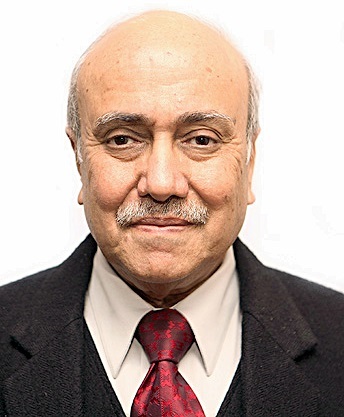 Construction of Utility channels along the roads can help avoid these problems in a big way” said Mr Kapila. “We should provide more reasons for putting less cars on the roads. The only effective long-term solutions are to improve alternative modes – walking, cycling and particularly high quality public transport system with Wi-fi and other modern day facilities . an Intelligent Transport System (ITS), which guides motorists towards uncongested roads and ease traffic snarls ”added Mr Kapila.